The music of Félicia Atkinson and Peter Broderick both surfaced to my attention around the same space in time, during 2008. John Xela’s Type imprint served the most trusted sources for independent music discoveries and two composers from the label’s roster particularly forged an indelible imprint, namely Peter Broderick and Sylvain Chauveau. ‘Float’s utterly captivating neo-classical-based compositions served a gateway into Broderick’s soaring songbook – that soon would follow with the gifted Portland musician’s ‘Home’ and ‘4-Track Songs’ full-lengths – and across the years, any project conceived by Broderick (or shares his involvement in any way) has become a trusted musical companion; one which only heightens with the passing of time. Similarly, the works of French composer Sylvain Chauveau casts a magical spell upon the listener. The sublime cinematic works of ‘Nuage’ (a glorious collection of film soundtrack work) and ‘The Black Book of Capitalism’ (a remastered reissue of Chauveau’s incredible debut) were huge musical discoveries and it was through Chauveau’s work that French artist Félicia Atkinson’s unique voice would come into full-focus. ‘Roman Anglais’ was a collaborative album crafted by Atkinson and Chauveau in which Atkinson’s mesmerising spoken word passages melded effortlessly with Chauveau’s beautiful instrumental backdrop. A track like ‘Aberdeen’ I found myself happily immersed in for hours on end. Forward to 2015 and the collaborative project of Peter Broderick and Félicia Atkinson, appropriately titled La Nuit feels a lovely parallel to those special works unleashed in 2008. ‘Desert Television’s divine sound world of drone-infused ambient soundscapes, dub echoes, mesmeric spoken word passages, and compelling instrumentation (rhodes, violin, voice, found sounds, percussion) unfolds a beguiling atmosphere and ethereal dimension from the opening ambient pulses of ‘Feu Pale’ to the gorgeous string arrangements of epic closing track, ‘The Sun Is Folded in Eight’. ‘Feu Pale’s drifting tones of rhodes, guitar, harmonies and soft percussion meld wonderfully with the captivating spoken word passages of Atkinson evoking a seascape of forgotten dreams. The utterly transcendent ‘Road Snakes’ contains a Lynchian utopia (‘Lost Highway’ comes to mind) and sense of euphoria and nostalgia. Certain words and phrases uttered by Atkinson are embellished within the neon-lit musical backdrop of synths and luminescent beats. Atkinson asks “What’s the weather today?/What’s the time?/Where are we going?” on a later verse that feels like a stream of consciousness, somewhere between Kerouac’s beat poetry and Kafka’s visionary novels. This tour-de-force feels as if Serge Gainsbourg is transplanted onto a sprawling canvas of contemporary electronic sounds (a la Nils Frahm, Greg Gives Peter Space and Rival Consoles). A timeless feel permeates every inch of ‘Road Snake’s towering road-trip, comprising “one road and many cars”. The celestial harmonies and blissful ambient pulses of ‘Blind Sights Of The Diamond’ conjures up the timeless sound of Efterklang circa ‘Parades’. Psychedelic flourishes ascend into the forefront of the mix as the song’s elements become more pronounced as the sonic creation lengthens and expands. The album’s penultimate track, ‘The Blue Path’ sees Broderick’s backdrop of strings coalesce with Atkinson’s spoken word (taken from her book of poetry ‘The Twenties Are Gone’). ‘The Sun Is Folded In Eight’ is ‘Desert Television’s epic (over thirteen minutes in duration) drone-infused psych folk lament of stunning beauty and eerie, searching moods. La Nuit represents a deeply meaningful and utterly enthralling musical voyage from two unique and formidable artists. ‘Desert Television’ (edition of 300 on red vinyl) is now on Beacon Sound. Congratulations on the stunning collaborative project, La Nuit and the enthralling sonic voyage of ‘Desert Television’. Firstly before discussing the record, please recount for me your memories of first crossing paths with one another and indeed first discovering each other’s marvellous artistic works? Félicia Atkinson: I discovered Peter’s music through is record ‘Home’ that was released on the label Type at that time, and remember that I found it really inspiring and moving. Then I guess we met in Montreuil at Instant Chavires: he was playing there, touring with Nils Frahm and I was playing with a band I was involved in at the time (2008? 2009?) called Louisville. Then we became penpals and friends. Peter Broderick: I first learned about Félicia through her collaborative album with Sylvain Chauveau in 2008 or so. I was already a big fan of Sylvain’s work, and on this album he made the music and Félicia spoke over the top. I fell in love with the album and not too long after that Félicia began to release a steady stream of solo material, which I followed very closely. We met in 2009 when we played a concert together in Paris. She was performing with a band she played in at the time called Louisville (I recently learned this was the only show that band ever played! ), and I have vivid memories of her sitting on the floor of the stage with pages of writing scattered around her, speaking into the microphone while a band of guys played music around her. I loved it. Félicia was very warm and open towards me from the moment we met, and this only enhanced my love for her work. Please take me back to the recording sessions at The Sparkle for the La Nuit project? What sort of routine or work practices did the pair of you utilize during this period of time? I love the fact that some of the lyrics come from Felicia’s book of poetry, ‘Twenties Are Gone’ so in this regard, there is this gorgeous spark of spontaneity radiating from the beguiling soundscapes and musical backdrop. FA: Well, this record was I must say completely improvised from the beginning until the end, which is often the way I am used to work. Improvising is my thing! 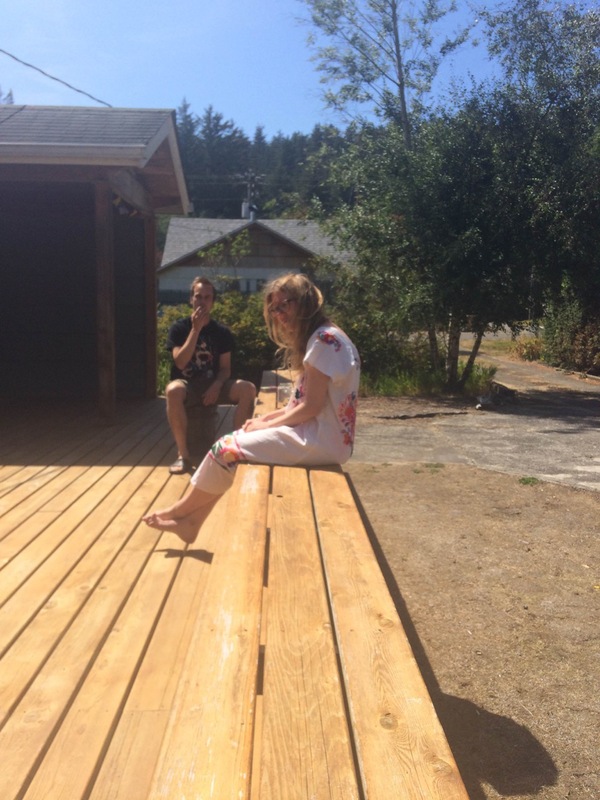 I just finished touring in Canada with Sun Araw and me and my boyfriend (Bartolomé, whith whom I run Shelter Press) decided to relax for a couple of weeks in Portland, Oregon. We had a wonderful time with Peter and Andy in Portland and other friends (Andy who runs Beacon Sound) and Peter invited us to visit him at Woods, near Pacific City in the Oregon Coast. The place is great, has a wonderful energy. One day Peter asked me if we could record something and we recorded the DESERT TELEVISION in a day! I guess I was filled with the energy of the tour in Canada, the music I heard, the people I’ve met, the roads, the landscapes I’ve seen from the Lake Louise along the Oregon Coast, and the studio session was the just the best way to share all this energy. ‘Twenties are Gone’ is a book I wrote when Bartolomé and I were doing an artist residency in Finland, in the middle of the woods in 2012. During that time a lot of memories from Oregon appeared melt with Finnish forest and lands. So somehow it made sense to bring back the reading of the book to Oregon! PB: We only spent one day in the studio together, and it was quite possibly the most fun and freedom I’ve ever felt in the studio. We didn’t ever really pause to think about what to do next . . . We just kept playing and creating sounds in a very intuitive way. Actually, only the short piece “The Blue Path” uses text from Twenties Are Gone . . . All the other songs are just Félicia freestyling into the microphone, completely unedited, and always in just one take. The cinematic opener ‘Feu Pale’ serves the fitting introductory hymn to ‘Desert Television’s sprawling canvas and striking narrative. An ethereal dimension is effortlessly tapped into here and the drifting tones of rhodes, guitar and harmonies meld wonderfully with the captivating spoken word passages. Please talk me through this particular song and your memories of the song blossoming into glittering life? It feels this served the gateway into the rest of the record. 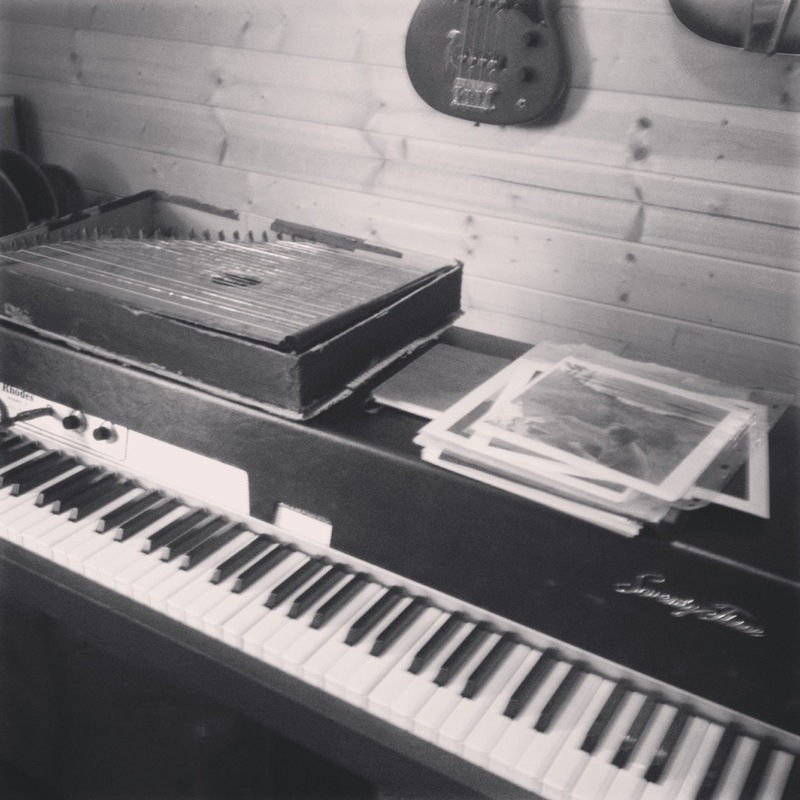 FA: Well, I love the Rhodes keyboard, it always have been one of my favourite instrument. 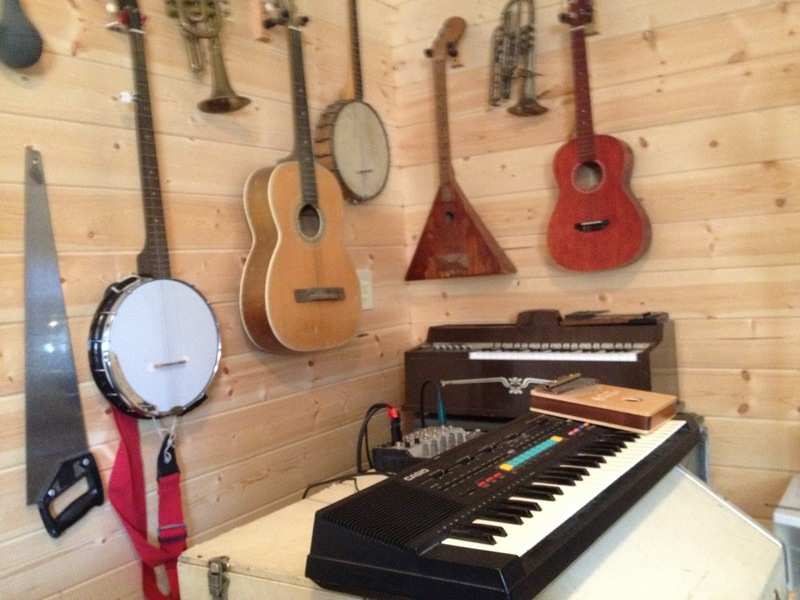 I used it already for another record I recorded in one day, O-RE-GON (Home Normal) in Portland in 2010 at Type Foundry’s studio after actually Peter’s advice. So when I saw Peter has a Rhodes in his lovely studio, The Sparkle, I knew right away I wanted to improvise with it. Also, the place felt magical at first sight. I wanted to play music there with Peter! The words appeared to me like this, I don’t know, I like to improvise lyrics, it’s like day dreaming, you dig in your own soul and see what you can fish there. I pictured the desert (for example a trip in Joshua Tree I did the winter before) and the mental landscape helped me to build my parts. Peter understood right away the spirit of the song so we build the song like we were painting a kind of desert wall painting or something. PB: This was the first song we recorded. The song has a fade-in, and that’s because Félicia was already playing when I hit record. I’m not even sure she was aware that I started recording. So the first track on the album literally begins at the first moment I pressed record when we were in the studio. Félicia was playing the fender rhodes, and I was running it through a tape delay, effecting the sound as she played, and also singing along and playing percussion from the other side of the room. You can hear me singing quietly in the background and playing percussion, and this was just me playing along far away from the microphone. The monumental tour-de-force of ‘Road Snakes’ contains this Lynchian utopia and sense of euphoria and nostalgia. I just love how certain words and phrases are embellished within the neon-lit musical backdrop and take on a life of their own. (For example, “Where do we go?”) A road trip. A travelogue. Did the music come after the spoken word passages or was it created at the same moment in time? FA: I think Peter did the keyboard while I was doing the voice and then we added layers of instruments. We wanted to something a bit dubby, and the image of the car race in the Sahara appeared to me. I just finished that recent book also, ‘The Flame Throwers’ by Rachel Kushner about a young artist who is also a biker in the 60-70’s in Italy and the USA and I thought about her while improvising the words, as well as the film ‘Two Lane Black Top’ (1971) by Monte Hellman. For the voice I thought also about Serge Gainsbourg, and his way of pronouncing the “T“ in ‘Melody Nelson’ for example. That was what I had in mind at this time. It just popped up like this while I was improvising. I love the keyboard dryness Peter uses for this song, it gives an 80’s feeling that is very special I think. PB: For this song (and for most of them actually), we created the music first and then added Félicia’s voice at the very end. And once again, Félicia just freestyled the vocals in one take. Upon listening back later, it really sounds to me like she’s kind of rapping! I love it so much. And as she was recording the vocals, I was effecting them live through tape delays. In this way, there was very little sitting around and waiting from either of us. If one person was recording an instrument, the other was always free to play along or add effects. Also, I’d like to add that the synthesizer stab sound in “Road Snakes” comes from a little toy casio keyboard! I love how huge and almost aggressive it sounds for being a toy. 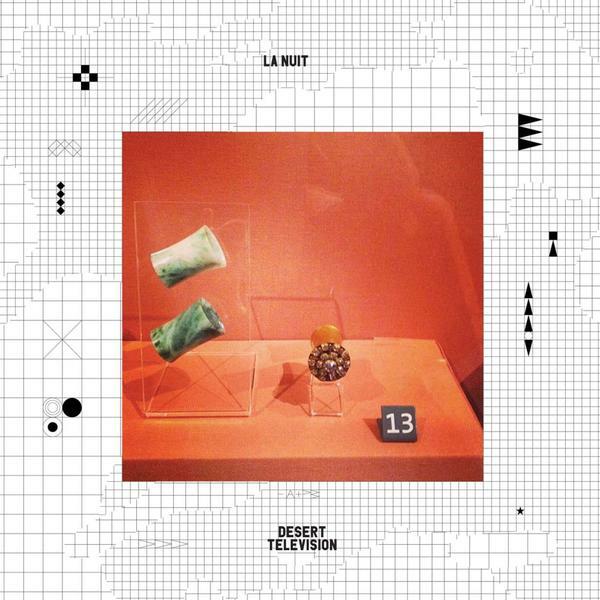 The eclectic sound and dynamic range contained on ‘Desert Television’ is another aspect particularly significant to La Nuit’s compelling journey. I think this echoes in each of your own solo (and collaborative) work over the years so this really comes as no surprise. After the recording was complete, I wonder was there a challenge to retain (or embellish) these special moments that were captured during the recording sessions? I would love to know the processes utilized during the production and mixing stages? FA: Well, we didn’t changed that much. 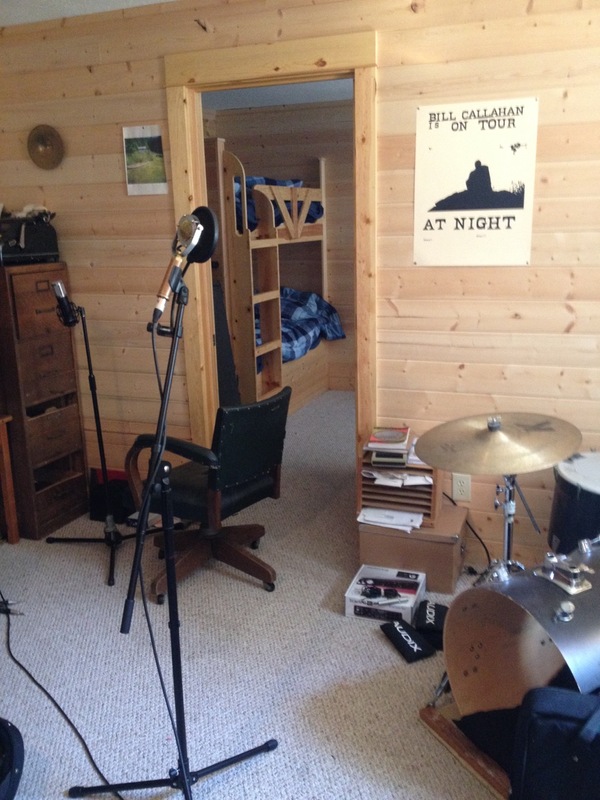 Peter did the mixing and the mastering and I feel like the record sounds incredible. Peter added also those beautiful strings for ‘The Blue Path’. The post production didn’t radically change the record, we wanted to keep it fresh. It was more like making some parts a bit more glossy, or dense, or eerie or with more perspective in it. PB: For the most part, the core of all the songs was completed in that one day. I did add some other instrumentation and mixing effects after Félicia left, but I was only embellishing what was already there, rather than trying to add new elements. I used a lot of tape delays in a ‘dub’ style, adding echoes and tape saturation to the recordings. The epic closer ‘The Sun Is Folded in Eight’ unfolds a cosmic and magical odyssey that feels like a gradual sunrise or sunset across the desert floor’s vast plains. Was this melody written from a different space in time or was it formed from a spontaneous reaction to Felicia’s words? I just love this symbiosis that exists between words and music, the poetic prose and accompanying canvas of colour and textures. It must have felt very special to witness this chemistry become translated into the music? FA: Again, it was completely improvised. Peter was playing the guitar and I just said the words that came to my mind. I was thinking of Areski’s voice in the early Brigitte Fontaine and Areski’s records, Peter’s voice reminded me a bit of this. PB: My nylon string guitar and vocal were the first seed of this song, and after composing a small theme with Félicia sitting write there, I recorded a long stretched out take, improvising upon the small idea I had, with Félicia sitting silently just a few feet away from me. This was the last piece we recorded, and we knew we wanted to make something longer and more patient. Félicia then added her voice with a single improvised take, and after she left, I added strings and synthesizers, but only doubling melodies that were already within my guitar and vocal parts. Lastly, please shed some light on your forthcoming plans and projects? FA: Well, we are very happy to release DESERT TELEVISION on August 28th on Beacon Sound! Also, I am taking part to the Copenhagen Art Festival by the end of August, showing an installation in the Overgarden Museum. I’ll be Playing in Prague at the Film Centre with wonderful films by Man Ray in October. I have a collaboration with Jefre Cantu coming up for 2016 and as well as my new solo album for the end of 2016 on Shelter Press. And of course, with Shelter Press, my music label and publishing house, we are having new exciting releases on their way for September and after! PB: Lately I’ve been keeping most busy recorded lots of different artists at The Sparkle. There are a lot of records by other musicians which I’ve been recording lately, and I’m looking forward to share a lot more info about all of this very soon! I’ve also been organizing a choir in Portland, and I hope to make an album with them at some point. ‘Desert Television’ (edition of 300 on red vinyl) is out now on Beacon Sound.